Ischemic colitis, or ischemic bowel disease, is not a fun time, and you certainly don’t ever want to contract it. But it is seemingly one of those gastrointestinal issues that cannot be avoided. If it’s going to hit you, it’s going to hit you. And that’s that. Or is it? What is ischemic colitis? In this article, we are going to look at the basics of ischemic colitis. We will cover ischemic bowel disease causes and ischemic bowel disease symptoms, as well as which treatments are available for those with ischemic bowel disease. You also may be particularly concerned about ischemic bowel disease in elderly, so you will know what to look for and how you might be able to help treat it. So, what is ischemic bowel disease, and what are some common ischemic colitis causes? Strictly speaking, ischemic bowel disease is caused by a loss of blood flow to the colon. This loss of blood flow can result from many different sources, such as the narrowing or blockage of the artery supplying the blood due to a tumor, fatty deposits on the artery wall, a blood clot, and low blood pressure. There are several ischemic colitis risk factors that play a big role in the development of ischemic colitis, the biggest one being age. Ischemic colitis is a regular occurrence in people over the age of 60, and many of the remaining risk factors are also associated with aging. Frequent constipation, hardening of the arteries, and low blood pressure are all conditions that may occur more often in old age and simultaneously increase your risk of ischemic colitis. High cholesterol can also be a factor. This is not to say that everyone aged 60 and older will have to deal with ischemic bowel disease. However, it is important to be aware of the risks. What Is the Difference between Ischemic Colitis and Ulcerative Colitis? Ischemic colitis vs. ulcerative colitis. What is the difference? While both affect the bowel regions, the two different types of colitis do have some major differences. As we previously stated, ischemic colitis mainly affects older people due to restricted blood flow to the colon. Ulcerative colitis, however, can affect people of all ages, is not caused by blood restriction, and it can disturb the entire large intestine rather than just the colon. There is also a difference in how ischemic colitis and ulcerative colitis are treated (but we will get into ischemic colitis treatment a little later). What Are the Symptoms of Ischemic Bowel Disease? Ischemic colitis symptoms are, for lack of a better term, unpleasant. The symptoms of ischemic colitis include pain, tenderness in the abdomen, and pain in the abdomen after eating. These are just the mild symptoms. People suffering from ischemic bowel disease also tend to suffer from bouts of nausea, vomiting, an urgency to pass a bowel movement, and possibly the worst-sounding of the lot: There is a good chance that your stool will be packed with blood and that you may even pass blood rectally without any stool present. Overall, it is an uncomfortable and stomach-churning experience. After reading the previous section on symptoms, you are likely very interested in what can be done to treat ischemic bowel disease. Anything that can produce such disturbing symptoms must require a relatively disturbing treatment, right? Actually, most of the treatment options for ischemic colitis are fairly mundane. More often than not, you will be prescribed antibiotics and intravenous fluids if you have become dehydrated. The most significant aspect is treating the underlying cause of the obstruction of blood flow to the colon. For example, if your blood pressure is causing the issue, your doctor will more than likely put you on a program to help stabilize your blood pressure. This may include nothing more than the medications we mentioned above, or it might require surgery. Surgery would remove scar tissue that is causing the blockage, fix a hernia, remove a tumor, or fix the artery damage where possible. Unfortunately, while most of these surgeries are routine, when the patient is elderly, there can be additional complications. The thing about ischemic colitis is, the passing of bloody stool isn’t usually the first symptom that you will see. 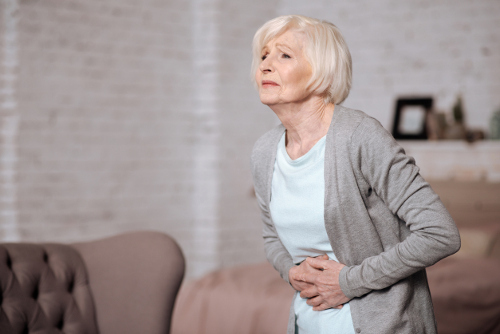 If you start experiencing the abdominal pains we outlined in the symptoms section, don’t let it go for too long, especially if you are 60 or older. The sooner you get into a doctor’s office, the sooner you can get everything checked out and move on to treatment. This may make the difference between antibiotics and/or a short hospital stay, and a lengthy hospital stay to repair the extensive damage colitis may have done to your bowels. Making time to see a physician can often be a pain, but surgery can be an even bigger pain and much riskier. “Ischemic Colitis,” Mayo Clinic; http://www.mayoclinic.org/diseases-conditions/ischemic-colitis/basics/definition/con-20026677, last accessed July 13, 2017. Phillips, N., “Ischemic Colitis,” Healthline, May 4, 2017; http://www.healthline.com/health/ischemic-colitis#overview1, last accessed July 13, 2017. “The Facts About Ischemic Colitis,” WebMD; http://www.webmd.com/ibd-crohns-disease/ulcerative-colitis/facts-about-ischemic-colitis#1, last accessed July 13, 2017. Bearden, M., “Ischemic Bowel Disease,” Lifescript, 2003; http://www.lifescript.com/health/centers/cholesterol/related_conditions/ischemic_bowel_disease.aspx, last accessed July 13, 2017.